New Hampshire School Still Insists That There Are 9 Planets! This was the homework assigned to my 11-year old, 5th grade daughter by her science teacher, at Alton Central School (ACS), on November 30, 2011. 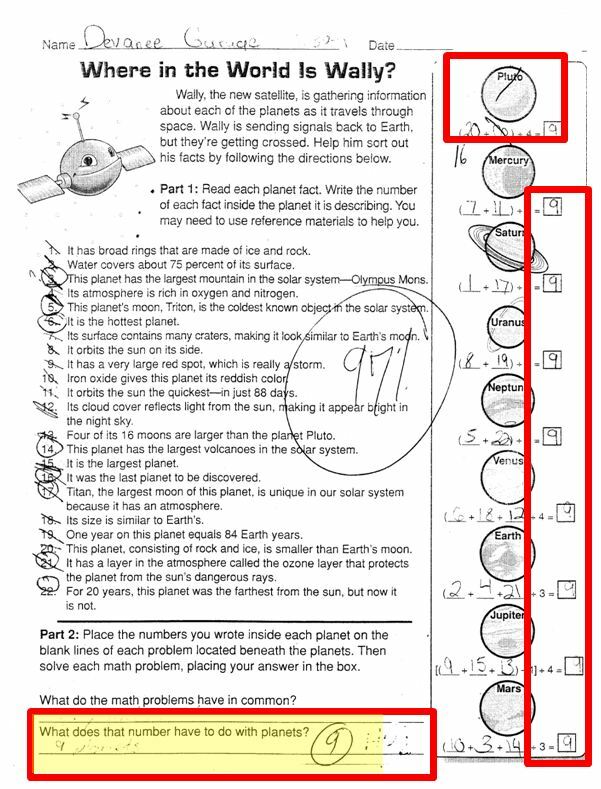 You will note that the whole point of this 22 question sheet is to REINFORCE that there are 9 planets in the Solar System. Ironically the first planet featured, right on top, is Pluto! It is the timing that irks and worries me. It is now a FULL 5 years after the fact. Two years ago, when she was in 3rd grade, she was taught that Pluto was a planet. But, I was willing to let that slide. But, this is 2011. This ‘Luddism’ has to stop. Yes, I know that New Hampshire is ‘the sticks’, but I think our kids deserve better.